Drip it – For effortless transfer of remaining slow fluids, place the funnel into the neck of receiving container & place pouring container into top clip of the funnel. 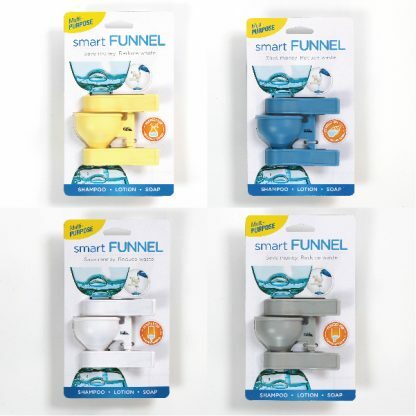 Pour it – Place the funnel into neck of recieving container and swing top clip away. 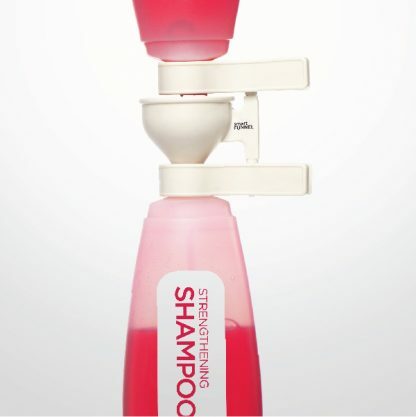 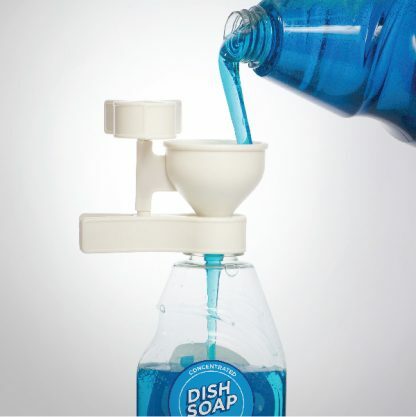 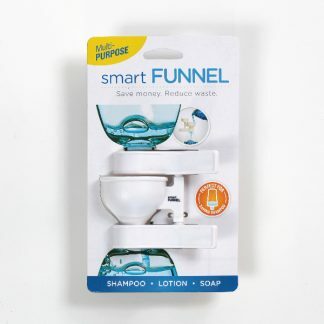 Store it – Place container into top clip with lid closed and the smart funnel will hold the bottle upside down, ready to use.